Expectant parents plan for many things over the nine months they are awaiting the birth of their new baby. Few parents plan for the unthinkable – a medical mistake during labor and delivery that causes a birth injury. When doctors and nurses fail to properly monitor, diagnose and treat fetal conditions during the birthing process, the result may be serious, life-altering injuries. If your family has become victim to a medical mistake that injured your baby, we understand that you may be feeling distraught and angry. You may not know where to turn for help. Rest assured that you’ve come to the right place. Our medical malpractice lawyers will do everything possible to investigate what caused your baby’s birth injuries. 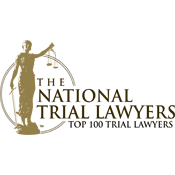 Then, we will fight hard to win substantial damages for your family and to hold the responsible doctors or nurses liable for their negligence. When doctors and nurses make a medical mistake during pregnancy, labor and delivery, following delivery or any other time when careful monitoring of the baby is essential, any number of serious birth injuries can occur. If your physician fails to identify abnormal conditions, such as placenta previa, placental abruption, intrauterine growth retardation and macrosomia, they cannot be managed to lessen the risk of injury to the child. 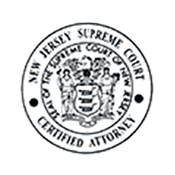 Incidents of medical malpractice that occur in Atlantic, Gloucester and Mercer counties and across NJ can have lifelong ramifications, including brain damage, Down syndrome, spina bifida, and motor function problems. Brain injury can result from oxygen deprivation as a result of blood loss or the twisting or compression of the umbilical cord. Prolonged oxygen deprivation can result in seizure disorders, cerebral palsy or mental impairment. Brachial Plexus Injuries (BPI) – Damage to brachial plexus – the network of nerves near the neck that give rise to all the nerves of the arm and provide movement and feeling to the shoulder, arm, hand, and fingers – can cause permanent injury to the baby. In most cases of BPI, it is the upper nerves that are affected known as Erb’s palsy. These injuries may be the result of malpractice if the doctor used excessive force to get the baby out or speed up the birth process, incorrect usage of vacuum or forceps or deviated from the accepted standards of practice. Shoulder Dystocia occurs when the baby’s anterior shoulder becomes trapped behind the mother’s pubic bone and the baby cannot come out of the birth canal. The result of this injury can range from weakened nerves to complete arm paralysis. The potential for this birth complication can sometimes be diagnosed prior to delivery and preventative measures should be taken. Cephalohematoma or Intracranial Hemorrhage – This injury involves bleeding in the baby’s skull which may be a result of a difficult delivery, prolonged labor, macrosomic (large) baby, forceps and vacuum delivery, etc. Perinatal Asphyxia – When a baby doesn’t get the sufficient amount of oxygen during gestation, labor and delivery or during postnatal care, perinatal asphyxia may occur. This condition may cause cerebral palsy or other permanent neurologic damage. Doctors need to closely monitor your pregnancy and labor and delivery so as to identify certain risk factors. Spinal Cord Injuries – When there is traumatic nerve damage or a tear in the spinal cord (often caused by use of forceps), the baby can become paralyzed or suffer serious neurologic problems. 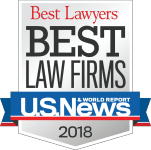 Wrongful Death – Unfortunately, any number of medical errors made during a pregnancy, labor and delivery and post delivery can cause wrongful death. There are many routine tests and procedures that should be performed by competent medical providers in New Jersey during pregnancy to evaluate both the health and progress of your baby. These tests are important; improper or careless treatment may result in birth injury, such as cerebral palsy. Approximately three out of every 1,000 children have cerebral palsy and suffer from weak muscles, muscle spasms, and poor development of motor skills. Cerebral palsy (CP) and/or hypoxic ischemic encephalopathy (HIE) may occur when a baby’s brain has been damaged before or during birth. Cerebral palsy is usually caused by a lack of sufficient oxygen to the baby’s brain during the pregnancy, while HIE is usually caused by a lack of sufficient oxygen to the baby’s brain during labor and delivery that is difficult or traumatic. The monitoring of the baby’s heart rate and response to contractions during labor should be watched carefully for signs of abnormal responses that indicate “fetal distress” caused by lack of oxygen. When the baby is not properly monitored by medical staff, or fetal distress caused by lack of oxygen is not diagnosed in time, your baby’s CP or HIE may have been caused by medical malpractice. 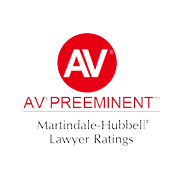 At The Law Offices of Andres & Berger, you can rest assured that we will do everything possible.as we and our on staff nurse review your medical records, interview all involved personnel and witnesses, and consult with medical experts. We will fight for your family’s rights and will work hard to get you the compensation you deserve. 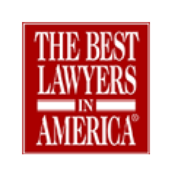 If you or your baby were injured during your pregnancy, labor and delivery or during postnatal care, you may very well have an obstetrical malpractice or birth injury case. Substandard care provided by obstetricians, labor and delivery nurses, midwives, anesthesiologists and any other healthcare professionals can cause catastrophic injuries. 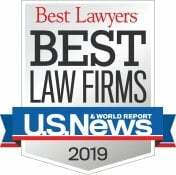 We have won millions of dollars in settlements and verdicts for families affected by birth injuries caused by medical negligence, including: 1.6 million for birth injury, brain damage to baby, cerebral palsy and $1.25 million for birth injury, brain damaged baby, with cerebral palsy. Contact the seasoned South Jersey medical malpractice lawyers at The Law Offices of Andres & Berger, P.C. today about your baby’s birth injuries. We will explain your legal options, and discuss how we can help your family get the justice you want and the compensation you need and deserve for your baby. The Haddonfield-based The Law Offices of Andres & Berger, P.C. 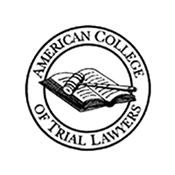 offers free consultations for all families who have been victimized by medical malpractice in Camden and Burlington counties and throughout New Jersey. If your baby suffered a birth injury, we will work tirelessly to win you maximum compensation. There are no upfront legal costs. We take all personal injury cases on contingency; if we don’t collect damages on your behalf, you don’t pay a dime.